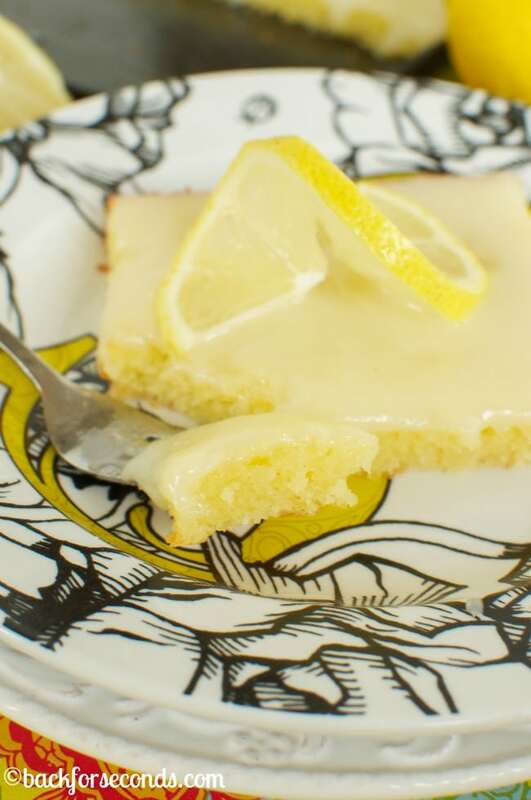 You will not find a box mix that can rival this Lemon Sheet Cake from Scratch! It is so moist and lemony and the cream cheese icing is incredible!! Y’all know I love my sheet cakes! 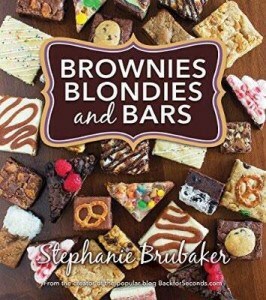 They are so quick and easy to throw together, they feed a crowd, and everyone always loves them! This cake is no exception. It is incredibly moist, bursting with vibrant lemon flavor. And he icing. Oh the icing!! It is a cooked lemon cream cheese icing that you are going to flip over! Oh yeah, back to the cake! This is the perfect summer cake with it’s bright citrus flavor. It would be a hit at any picnic, potluck, or party. Oh! And try it cold! So refreshing and delish. I am sharing this with my mama today and I hope she loves it as much as we do! 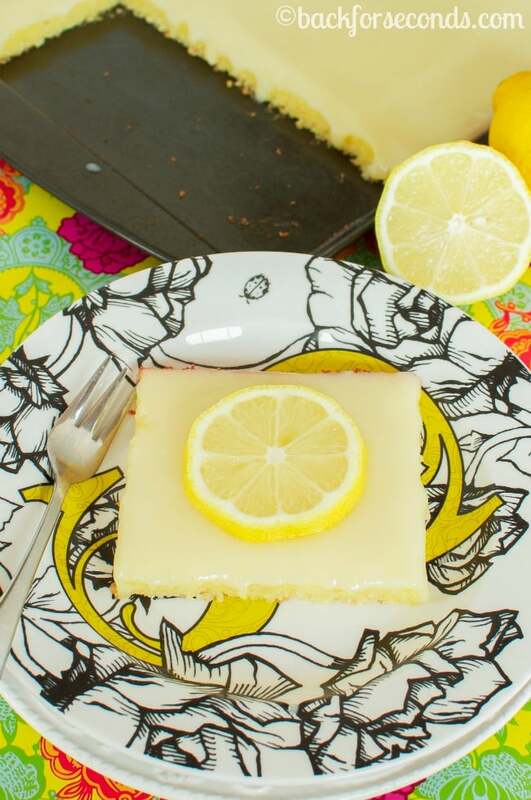 Wow….excellent lemon cake. Easy & quick too. 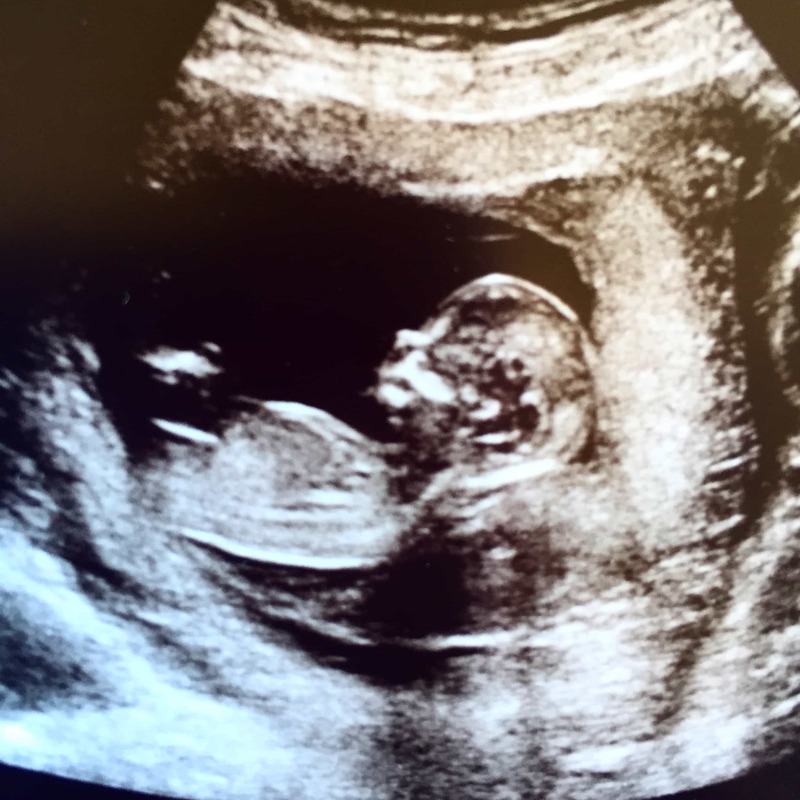 I am so glad I chose this one. I’m kinda glad this one won’t last long, because I sure want to try these other sheet cakes. Thank you for posting the delicious cake. 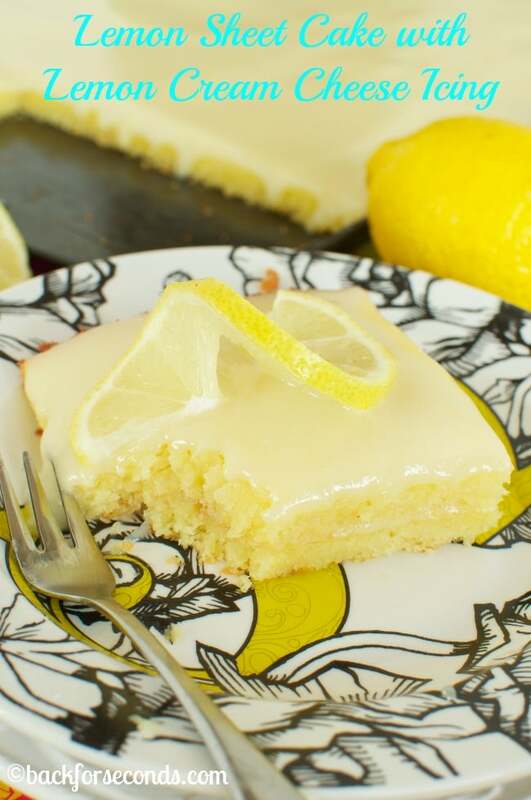 Lemon cake sounds good trying to find the recipe! Why the cornstarch? Could I just use less liquid if I don’t have any? It helps give the cake a lighter, fluffier texture. You can do without, but the texture won’t be the same. If I wanted a two layer, doubling the recipe should be sufficient, correct? This recipe will make a 2 layer cake with 9″ pans very nicely!